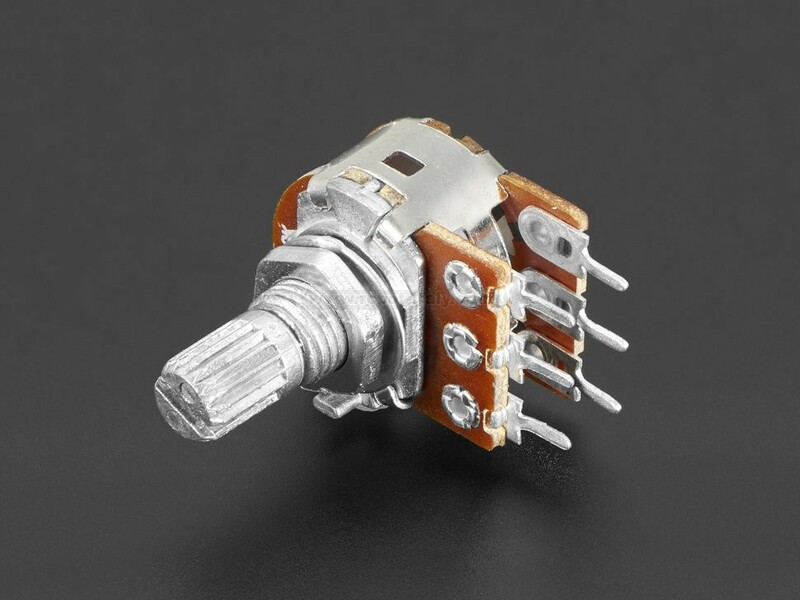 This Panel Mount 10K Dual Linear Potentiometer is a dual-ganged potentiometer that will satisfy all your stereo-signal needs. 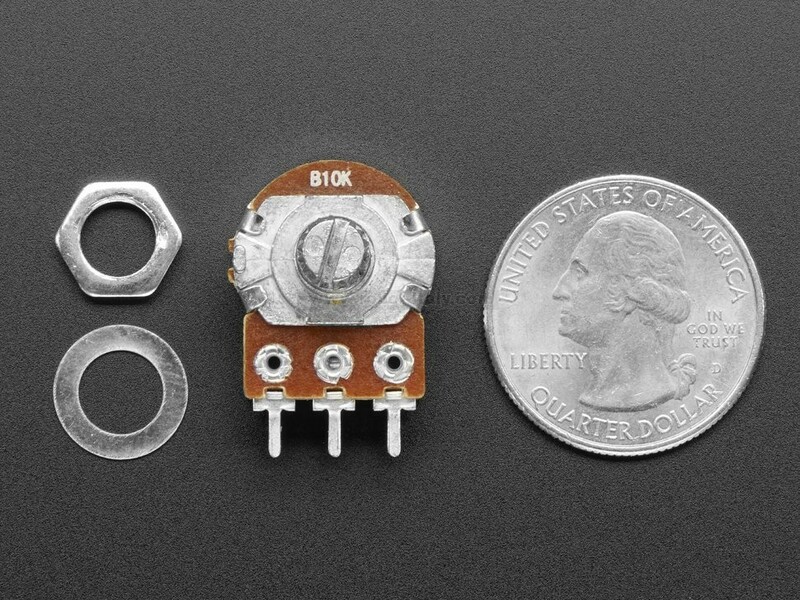 Instead of just one potentiometer, you actually get two separate pots, 'ganged' together. Turning the grippy shaft twists both standard linear-taper 10Kohm potentiometers. It's smooth and easy to turn, but not so loose that it will shift on its own. 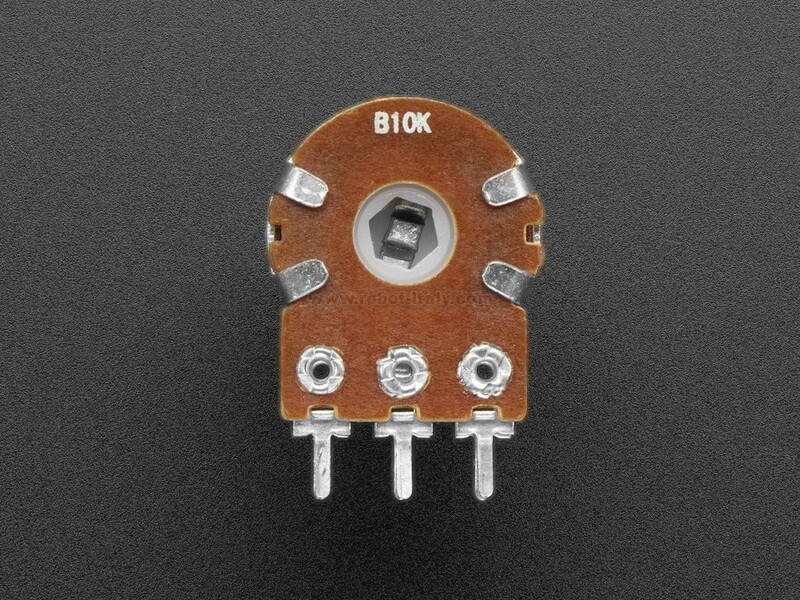 Unlike many of our other potentiometers, this one is not breadboard-friendly. The pins are about 0.2" apart so it will fit into a breadboard, but the two rows are close together so you'd short the two halves. Thus, we suggest soldering wires to the pins as necessary, using these in a perf-board that doesn't have the rows connected, or designing a custom PCB. 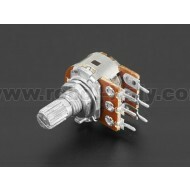 Product Dimensions: 26.3mm x 25.0mm x 17.0mm / 1.0" x 1.0" x 0.7"